We would like to invite you to take part in our 2015 survey. Our questionnaire takes just a couple of minutes to complete and automatically enters you into our prize draw to win £100 worth of Marks & Spencers Vouchers. Unspoilt and diverse, Yorkshire offers miles of stunning countryside, including over 1000 square miles of National Park land with bustling cities and quant market towns. Explore the scenic Heritage Coast or step back in time at one on the regions many historical sites. Visit the tranquil Yorkshire Dales National Park and marvel at the majestic scenery, where the more active can immerse themselves in the extensive range of outdoor pursuits the region has to offer: such as walking, cycling, riding and water-sports. Indulge your adventurous side in its renowned caves, potholes and labyrinth of underground passages. Or enjoy the wilderness of the North York Moors with its purple heather. 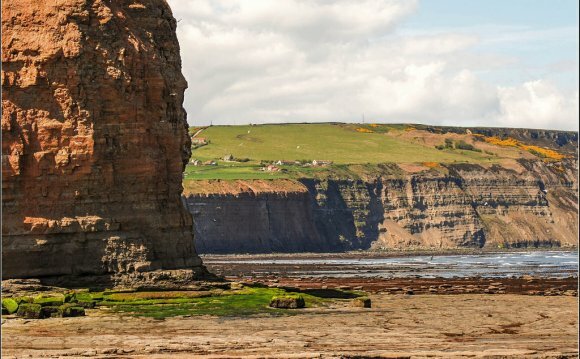 Alternatively relax on Yorkshire's 130 miles of sparkling seashore, exploring its sheltered coves or marveling at its towering headlands. Bridlington, Filey, Scarborough and Whitley Bay are superb resorts offering great holidays all year round. If it's history you're looking for, Yorkshire has an abundant supply of it, from the stunning medieval Skipton Castle to the opulent Middleham Castle, the childhood home of Richard III. Take a visit to the magnificent 18th century Castle Howard or actually watch history come alive with a multitude of live events in the region's historic abbeys, castles, houses and gardens. Yorkshire also boasts many vibrant towns and cities, offering a range of cultural, gastronomical and retail experiences. York and Leeds are particularly worthy of note, with an intriguing mix of historical and cultural interest, coupled with extensive nightlife and café culture. Harrogate offers the discerning shopper a wide choice of stylish boutiques, or visitors can venture further a field and buy local produce in the many un-spoilt market towns of the region. Yorkshire has a very diverse food scene, with fashionable contemporary gastro pubs rubbing shoulders with more traditional fare. The bathroom scales may tell an indulgent culinary tale when you get home, but please don't leave Yorkshire without sampling home baked scones, Pontefract cakes and curd tart! You'll find Yorkshire people are renowned across the UK for being incredibly honest, down to earth and warm hearted, so wherever you go, you can be sure of a warm welcome.